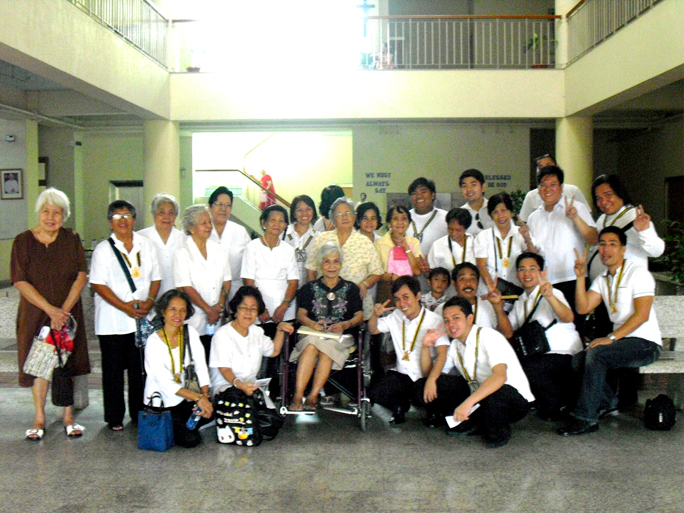 The officers and members of the Cofradia in one of it's annual outreach program. Filled with a lively faith and confidence in God and the Blessed Virgin Mary, the Cofradia aims to uphold, strengthen and sustain the devotion to the Most Blessed Virgin Mary particularly under the title Nuestra Señora de la Soledad de Porta Vaga among the lay faithful in the Roman Catholic Church. It shall support, empower, affirm and challenge the efforts of our communities in their ministry to, with, for and by the devotees of Nuestra Señora de la Soledad de Porta Vaga. Moreover, it shall help the lay faithful organize, implement and maintain a comprehensive devotion to Nuestra Señora de la Soledad de Porta Vaga, in order to create an environment in which people can be involved together liturgically, sacramentally, and catechetically.